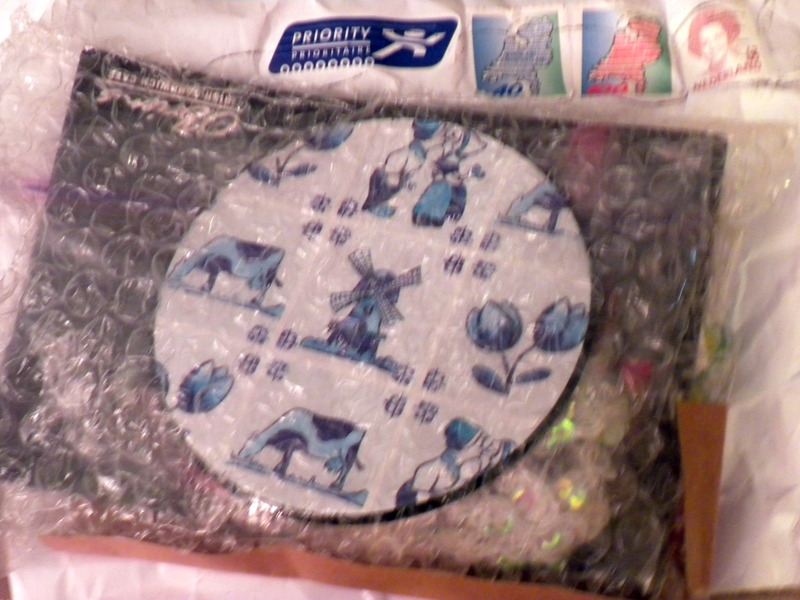 Also in the mail today was a mystery envelope from the Netherlands. 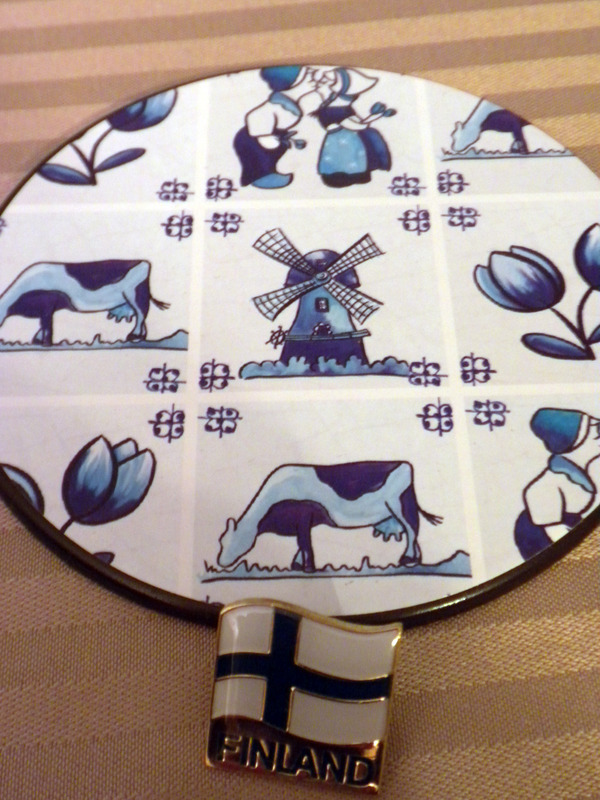 This consists of 10 things and goes around to a group of people (if you are part of the postcrossing group you can sign on in the forums). the first person includes 10 things, the next person can take as many of these things as they like but they must replace so that 10 things go on to the next person and so on. And today i received and its my turn to choose! what will i keep? 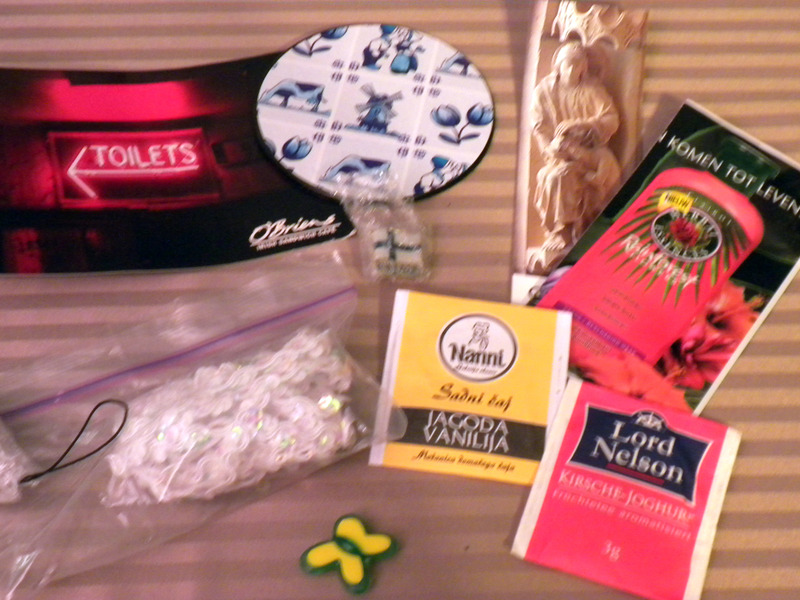 We have 2 bags of tea (each counts as one thing), a butterfly magnet, some sort of ornament, some craft type ribbon, a sample of shampoo, a coaster, a Finland lapel pin, a postcard showing the way to the toilet and a religious bookmark.